The DOJ accuses Apple of a "technological fiat" for resisting a court order to brute-force the San Bernardino shooter's iPhone. “Corrosive rhetoric” could be this week’s “dormant cyber pathogen,” the latest salvo in the government’s attempt to paint Apple as unreasonable for refusing to craft a new version of iOS so law enforcement can brute-force an iPhone 5c used by San Bernardino shooter Syed Rizwan Farook. On Thursday, the Justice Department filed a response to the United States District Court for the Central District of California. That’s the court that issued the order for Apple to provide this assistance to the FBI, who is investigating the December 2 shooting. The filing is a response to Apple’s legal arguments, the first being that the All Writs Act is inappropriate to cover this request, as it’s been superceded since then by more applicable laws like CALEA. Apple will also argue that writing code should be considered speech, and since the first amendment would protect a journalist or author from being ordered to write something the government wants, the same free-speech protections should be offered Apple as a software company. The filing also repeats the old canard that “The Court’s Order is modest. 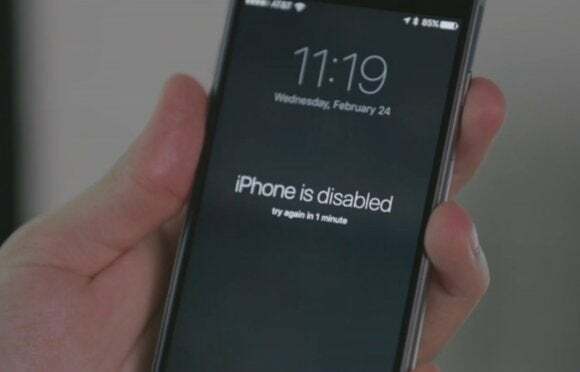 It applies to a single iPhone, and…it does not compel it to unlock other iPhones or to give the government a universal ‘master key’ or ‘back door.’” But when FBI director James Comey and New York District Attorney Cyrus Vance testified before Congress on February 25 (along with Apple’s lead counsel Bruce Sewell and Professor Susan Landau), both Comey and Vance admitted that while this specific order is for this specific phone, the government would very likely seek to use this technique again with subsequent orders. Instead of complying, Apple attacked the All Writs Act as archaic, the Court’s Order as leading to a “police state,” and the FBI’s investigation as shoddy, while extolling itself as the primary guardian of Americans’ privacy. (See Wilkison Decl. Ex. 1.) Apple’s rhetoric is not only false, but also corrosive of the very institutions that are best able to safeguard our liberty and our rights: the courts, the Fourth Amendment, longstanding precedent and venerable laws, and the democratically elected branches of government. … That controlling precedent and the All Writs Act—not Apple’s technological fiat—should determine whether Farook’s iPhone will be searched. Security experts disagree that the government even needs Apple’s help to access the data on Farook’s iPhone. For example, the “chip off” technique would involve physically removing the flash memory from the phone and cloning it. The government currently can’t brute-force Farook’s four-digit passcode since iOS 9 has an Erase Data feature that, if enabled, could wipe the phone after 10 incorrect attempts. Using the chip-off method, investigators could try 10 passcodes, then try 10 more with a fresh copy of the flash storage. It’s a long, delicate, and risky procedure that experts say usually results in a destroyed phone. But it does run directly counter to the government’s repeated claims that its hands are absolutely tied without Apple’s help. The first hearing in this case is scheduled for March 22, the day after Apple will announce its latest round of new products. Apple first received the court order on February 16, and responded with a motion to dismiss on February 26. Last week, other tech companies, organizations, and security experts filed amicus briefs and friend-of-the-court letters supporting either Apple or the government. The DOJ’s full filing from Thursday is embedded below.